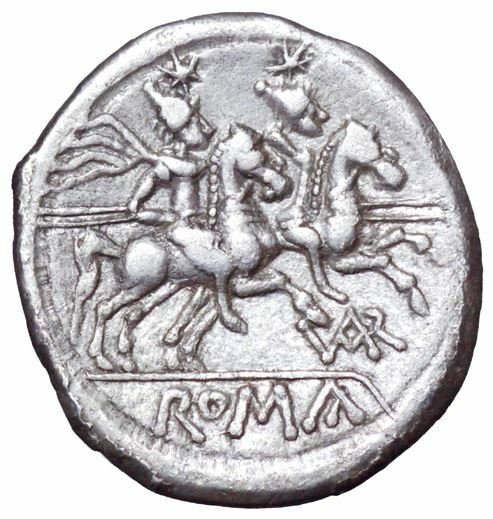 A. Terentius Varro was one of the moneyers for the year 206-200 BC. He later served as Praetor in 184 BC. Gens Terentia was a plebeian Roman family. The name comes from the Sabine terenus ("soft"). The gens is mentioned from 462 BC, the year Gaius Terentillus Arsa became tribune of the plebs. The Terentii ascended to the status of Roman consul with Gaius Terentius Varro, who commanded at the time of the Battle of Cannae in 216 BC. We find members of this family under the early empire, and as late as the 3rd century AD. The principle cognomina of the Terentii during the Republic are Culleo, Lucanus, and Varro.